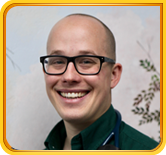 Dr. LeProwse is originally from Missoula, Montana and a graduate of University of Montana, Missoula, Montana. He attended The University of New Mexico School of Medicine, Albuquerque, New Mexico and completed his internship and residency in Pediatrics at the University of California in Fresno, California. Dr. LeProwse joined the Providence Centralia Hospital Medical Staff and Chehalis Children’s Clinic in 1992. 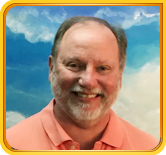 He is a Board Certified Pediatrician through the American Academy of Pediatrics and is well versed in all aspects of pediatric care. Dr. LeProwse married his wife, Jenise, in 1987 who is the General Administrator for Chehalis Children’s Clinic. He is an avid golfer and enjoys spending time on his small farm doing any type of tractor work! He is dedicated to his pediatric practice in Chehalis and the generations of families to which he has had the privilege to provide care. Lisa is originally from Las Vegas, NV and a graduate of the University of Nevada, Las Vegas. She completed the Physician Assistant Program at Pacific University in Forest Grove, Oregon in 2003. Lisa joined Chehalis Children’s Clinic in 2005. She is a member of the American Academy of Physician Assistants and retains her certification through the National Commission on Certification of Physician Assistants. 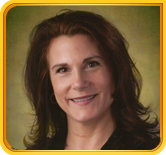 Lisa is also a certified Nutritional Therapy Practitioner and provides lifestyle management, holistic nutrition and weight management counseling. She is dedicated to bringing her knowledge and skills to care for the children here at Chehalis Children’s Clinic. Lisa is married to Jay Birley and has a combined family of three children. When she is not spending time with her family, she enjoys furthering her education and spending time outdoors. Chris is originally from Simi Valley, California. After graduating from Cal Poly San Luis Obispo, he spent time working in travel medicine in Mexico as well as working as a Physical Therapy Aide in Southern California. Chris completed his training at Boston University School of Medicine in August of 2017, and joined Chehalis Children’s Clinic in October 2017. He holds certification by the National Commission on Certification of Physician Assistants, and is a member of the American Academy of Physician Assistants. His interests include medical education, sports medicine injuries, and pediatric nutrition. When not in the clinic, Chris loves spending time with his wife, Noelle adventuring in the great outdoors of the Pacific Northwest. He is an avid snowboarder, rock climber, hiker, and road-tripper.